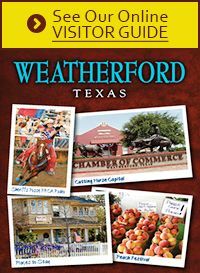 Every month a Weatherford Chamber member is selected to be Mobbed. This fun event is to support local businesses. This is a secret, so to be a part of this fun event, email Peggy Hutton at .